Chelsea employ super-agent to pursue Lyon star? 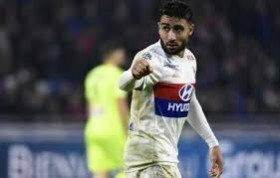 Chelsea have reportedly stepped up their interest in signing Lyon midfielder Nabil Fekir with super-agent Pini Zahavi acting as the intermediary to push through the deal. The France international has already turned down a new contract with Les Gones and this has increased the speculation that he could be sold when the transfer window reopens. According to L'Equipe, the Blues have sent Zahavi to begin discussions with the French outfit and they are optimistic of securing a mid-season move for the World Cup winner. Fekir was previously on the radar of Liverpool during the summer transfer window but a transfer was cancelled at the final hurdle after the Reds were concerned about his fitness record. The attacker has since returned to normalcy with Les Gones and he has been in impressive form during the ongoing campaign with six goals and four assists across all competitions for the club.